1. Motion Theatre by Caroline Grohs. 2. 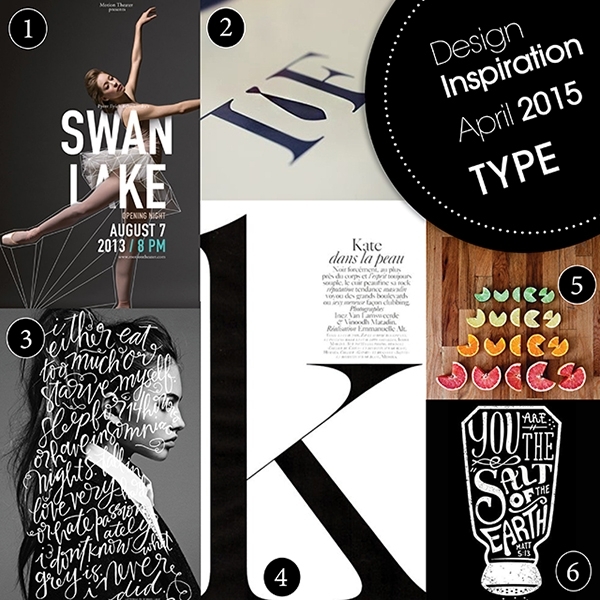 Typography logo design inspiration from Smash Blog Trends. 3. Silhouettes by Pommel Lane. 4. Alphabet letters page layout on Polyvore. 5. Experimental typography on Creative Bloq. 6. Salt and Light on Digital Arts blog.